Another satisfied client with the recent Garrison Security Fencing installed to secure their church facility in Perth. “We found K-Line staff to be very professional, cooperative and easy to deal with. The workmanship is very good and the installation schedule was closely adhered to. K-Line Fencing Group was privileged to work with Classic Hire providing Commercial Security Fencing solutions at their Perth branches. A big thanks to the team at Classic Hire – they’re an excellent company to deal with. Should your builder arrange your projects fencing or should you arrange it yourself? Any construction project is no small feat and requires many hands on deck to get the job done. When it comes to the installation of fencing for a new building, the question comes up who should arrange the fencing? Should you have your builder include the fencing in their contract or should you arrange the fence with a fencing company directly? What should you know if your builder includes the fencing in their contract? This is a question that comes up for all new building projects, the most common option is for the property owner / manager will leave the fencing out of the building contract as there are complications that can arise with builders arranging security fencing for your new site. Your fencing solution is more likely to be tailored to the builders specifications that the actual requirements for your site. When fencing is included in a building contract, if you require making minor changes to the layout or requirements of the fencing during the construction stages of your building, small changes to the fencing layout can be costly, time consuming and is a painful approval process it had to go through. Communication to the fencing installation team can be difficult if all communications need to go through the builders. Is it worth arranging the security fencing for your new building directly with a fencing company? 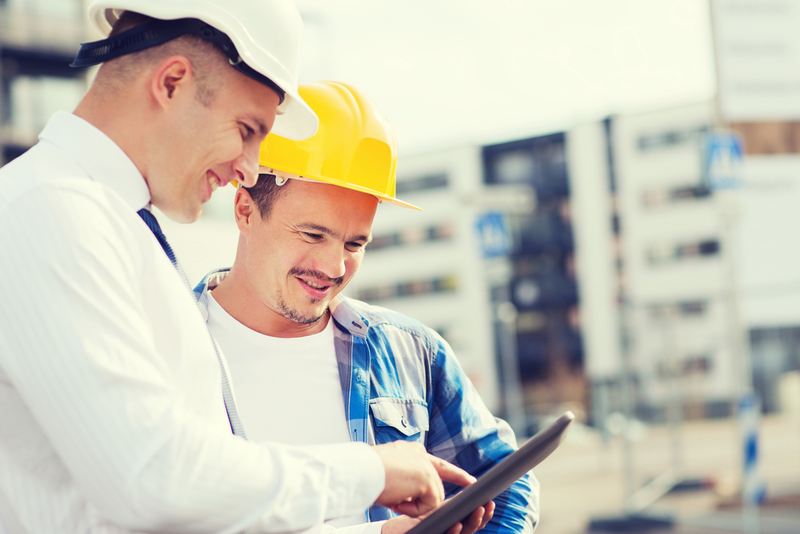 When constructing a new commercial building, this can be a challenging time and a considerable for the property owner. When making a large investment into a new building and valuable stock and machinery to be stored at the new building, it is important to ensure you will get the right security fencing solution for your needs. At the time of singing up a building contract it can seem to be viable & easier to have the builder include the fencing in their building contract. You will have control over the fencing design and installation when arranging the fencing yourself and you will be able to deal direct with the fencing team installing your fence. When selecting fencing for your commercial property, it is important the security fencing solution takes into account the types of trucks and vehicles that will be entering & exiting your site for your business operations. Dealing direct with the commercial fencing company will ensure you get you the best value for money. You can ensure the commercial fencing contractors are the best for the job and were not chosen based only on their prior relationships with your builder. There are numerous reasons why arranging the fencing for your new building project will ensure you will get the right fencing solution for your premises, at the right price whist giving you greater flexibility being able to make changes to your fencing configuration if required throughout the construction stages of your building. If you are looking to organise fencing for your next project, give the experts at K-Line Fencing Group a call and the team will arrange for a FREE site visit to establish the best solution and provide a FREE quote for your requirements. What is the Best Fencing Material to Stand Up to Perth’s Weather? Hot, dry summers, wet winters, strong storms and even the sea breeze we rely on to cool us down here in Perth. With such a wide range of climate challenges to take into consideration when deciding on what type of fence you should install, the big question is what fence can stand up to Perth’s weather? If you are looking for a fence that’s highly rust resistant, aluminum may seem like the right fencing material for your property’s needs. Aluminum has a natural rust resistant property, and doesn’t warp. Aluminum fencing is considerably weaker than steel fencing. It is easily bent & destroyed by vandals or severe weather conditions. Aluminum fencing panels can sag in the centre due to their light-duty construction. 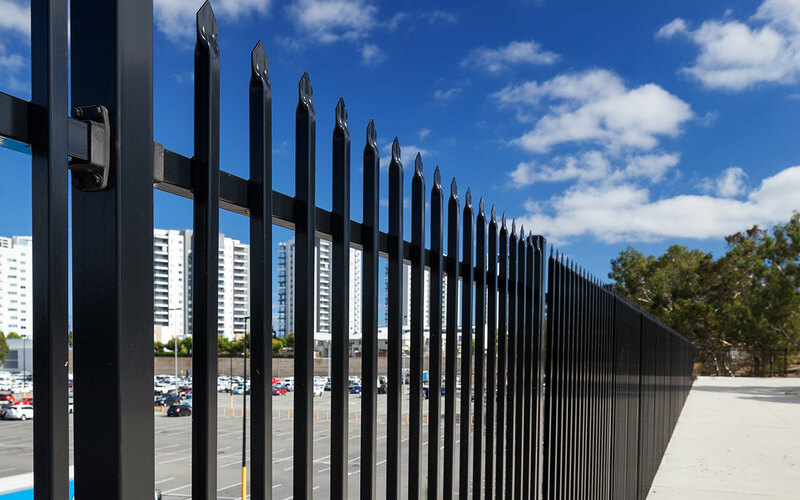 If you need effective security fence for your premises that will stand up to vandals attempting to break into your premises and harsh weather conditions, then aluminum fencing is not the right fencing solution for your needs. Steel is a very strong material that is ideal for fencing that needs to provide a high level of protection and security at industrial and commercial properties. 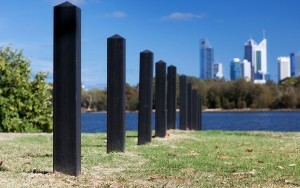 Steel fencing will be able to stand up to the strong storms and winds experienced during winter in Australia. If however, you are in an area where the fence will be exposed to salty air, the steel used and the powder coating process will have a considerable impact on the longevity of the fencing and it could be at risk from rusting if the correct materials and coating’s are appropriately used. In most industrial and commercial property applications, steel security fencing is the answer as it provides a stronger security fencing solution and is impact resistant, so it is the perfect material to use for security gates and fencing which is worth the investment if you are protecting valuable stock and machinery. Aluminum and steel are high-quality materials. However, it is very important to consider the elements that your fence will need to endure to make sure the right fencing solution is selected for your requirements. For commercial and industrial fencing, steel fencing is recommended because of its strength & maximum longevity. If you are unsure about what fence would be best suited for your site, call the experts at K-Line Fencing Group today on 9454 8399. With the right security fencing, you could easily keep your sports facilities secure and safe for adults and children alike. Basketball, football and soccer players have a high likelihood of being injured by impacting the barriers surrounding the sports ground. Chain mesh fencing, however, is a proven, safe solution to use at sports facilities that reduces the chances of players getting hurt. When you consider what fencing to install at your sports facilities, there are a few questions you should be asking. Is the fencing going to last a long time? Is the fencing visually pleasing? Will the fencing do any damage to the ball? Is this fencing cost effective? The answer to these questions is simple. Chain mesh fencing. There are two different types of chain wire fencing depending on your needs. Galvanized chain wire fencing protects against rust and corrosion, providing maximum durability. PVC coated chain mesh is a more popular choice as it is long-lasting, visually pleasing and also does less damage to balls. Councils, schools and cricket clubs will often require the ability to lock cricket nets. There is always the option to have custom design gates installed to match the fencing. One of the most popular uses of chain wire fencing is to secure outdoor courts such as basketball courts. By installing chain wire fencing around the court’s perimeter, the benefits are twofold. Firstly, and most obviously, it assists in preventing wayward balls from leaving the court area, protecting those outside the court and preventing the loss of balls. Secondly, the chain wire fencing also extends the life of the court by preventing vandals from accessing it and causing damage that may require court resurfacing. 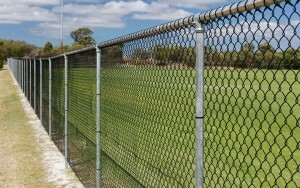 Chain wire fencing is by far the best option for these sporting facilities. But here are some other sports facilities that will benefit from the use of chain wire. Chain wire fencing is designed to provide you with cost-effective security while protecting the longevity of your sporting facility. 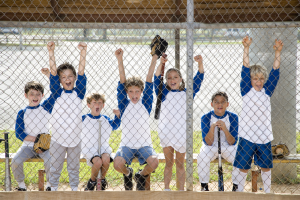 With chain link fencing you will ensure your sporting facility’s visual appearance while also preventing stray balls from injuring bystanders. If you have any question about what needs to be considered when choosing which chain wire is best for your needs, give us a call. We are ready to help keep our sportspeople protected! Bollards are not only a tool for defining boundaries, protecting buildings and infrastructure but are also an important part of road safety. By having correctly installed heavy duty bollards in the correct locations you can increase pedestrian and traffic safety while not impacting the visual appearance of your property. 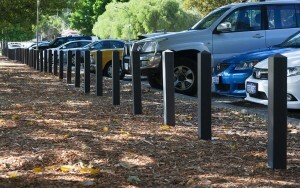 Learn more about 5 benefits of installing bollards. K-Line Commercial Fencing Perth offer safety bollards in a range of styles and designs, including timber and heavy duty plastic bollards. Not sure what bollard would best suit your purposes? Give us a call for a free site visit and quote. As each school is unique, they all have different fencing needs. By having the correct security fencing for your school you help to enable surveillance, limit access to areas that are not highly visible, restrict entry points to a few easily monitored areas and help enforce the image of the school grounds being a well maintained and respected space. So when it comes time to choosing a security fence for your school, what should you consider? Evaluate your current security fencing for weakness and any additional fencing requirements. As this will give you an idea as to what fencing products you will need. The security fencing should not be easy to cut, climb or vandalise. Chain wire security fences are usually a popular low cost choice but they are easy to climb and vandalise. Playground fencing should allow visibility for school staff to easily monitor children while still ensuring that children cannot accidentally leave the playground. The right fencing should provide security while still being aesthetically pleasing. For a lot of schools, garrison security fencing is a great option. Garrison security fencing prevents intruders from being able to cut or climb the fence while maintaining visibility and the aesthetic appearance of the school grounds. 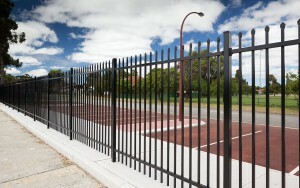 Our tried and tested processes make us industry leaders in security fencing solutions for the school sector in Perth. Read about our school customers on the case studies page. If you would like to know more about different security fencing options or would like to arrange a FREE SITE visit to discuss your fencing needs, give K-Line Fencing Group a call today. Whether looking to install a new security fence or replace an existing one, trying to find the right fencing contractor in Perth can be a difficult task. It’s tempting to just search Google for fencing contractors in Perth and go with the top of the list. But remember this is not necessarily a sign that they will be the best contractor for the job. Here are a few tips to keep in mind when choosing a fencing contractor. Look for a security fencing expert rather than a general fencing contractor. General fencing contractors will promise excellent fencing services, but often lack the expertise required for security fencing installation. You need to find a commercial fencing contractor who has experience and the skills to handle any type of fence installation confidently. Don’t go with the first fencing contractor your find. Get a few options from different fencing contractors and take the time to review their quotes and check their references thoroughly. What fencing materials do you recommend and why? How often do you finish on time and within quoted amount? Are there any permits required for this fence installation? If there are any obstructions (eg trees/rocks) will you include the removal cost in the quote? Do you remove old fencing materials if you are replacing existing fencing? You should never be charged for a quote, or pressured to pay in cash. If any of these things happen revaluate if you want to be doing business with that particular contractor. At K-Line Fencing Group you can rest assured knowing our experienced installation team will complete your fencing installation to the highest of standards. From quote to completion you will work with a dedicated project manager and you will have the peace of mind that our team will complete your fencing installation with minimal disturbances to the site. For a free quote or site visit, get in touch and we will find the right fencing solution for your needs. K-Line Fencing Group is a proudly Australian owned and run business, who have been providing fencing solutions since 1975. Previously operating as Kalamunda Fencing and Gatemakers, the name may have changed but the stylish, reliable & secure fencing solutions we provide haven’t. 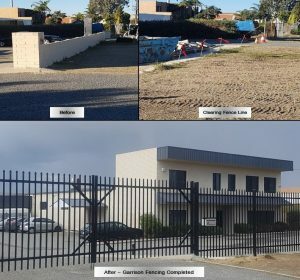 We offer high quality security fencing installation services to all Perth Metropolitan areas and anywhere in surrounding areas from Rockingham to Neerabup. If wholesale fencing products are what you are after we can supply to further areas as required. To ensure we provide the best fencing service to our customers we specialise in commercial, industrial and public facilities. So while we may not be able to help with residential installation, our highly trained specialists have you covered with our high quality security fencing products, ranging from garrison security fencing, tubular steel fencing, bollards & barriers, chain wire security fencing, automatic sliding and swinging gates & handrails. K-Line Fencing Group is also a trusted supplier of wholesale fencing supplies, providing reliable and economical wholesale fencing materials. Having provided fencing solutions for a wide range of clients K-Line Fencing Contractors Perth has the experience to handle your fencing needs. Some of our previous clients include John Calvin Christian College, City of Cockburn, St Francis of Assisi Parish, Toll Ipec and many others. 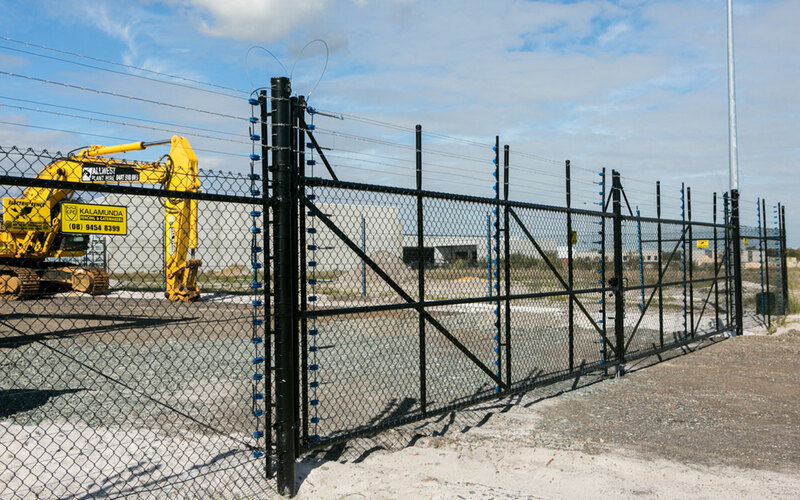 So no matter if you have a commercial or an industrial property, a church or school, or even wholesale needs, K-Line Commercial Fencing Perth has the knowledge and experience to make sure you are kept safe and secure. In this day and age, it is paramount that those in a position to lend a hand or give back to the community do so. In Australia, we really are the fortunate ones, born into a world of safety, education and freedom of choices – freedom that allows us to reflect on the principles we chose to live by. 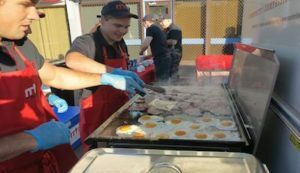 At K-Line Fencing we take pride in our community involvement, raising funds, donating and participating in events that give back to the WA community in which we live. We are a family run business which began in Kalamunda and has grown to service the WA community, with our family feeling a strong connection to the community and individuals in it. We support those around us and through our involvement with the Rapid Relief Team (RRT), we have participated in a variety of fundraising activities supporting charities such as the multiple sclerosis society, aiding the homeless and supporting cancer research efforts. One event we are proud to be involved in is the Bridges Night Rise for Multiple Sclerosis, which needs an immense amount of organisation and volunteers for the event to run smoothly. 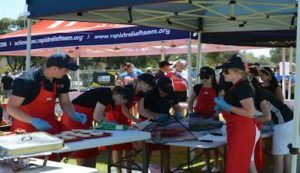 In April 2016 the Perth Integrated Cycling Group ran this fantastic event to raise funds for the MS Society, which is dedicated towards helping the thousands of Western Australians with multiple sclerosis. 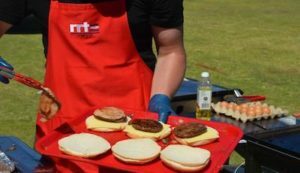 K-Line not only donates money to RRT to ensure these events are possible but also contribute time serving food and drinks to aid in the fund-raising efforts. 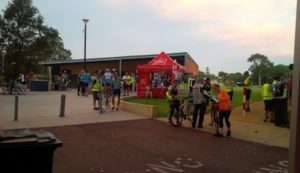 Perth Integrated Cycling Group also put in an outstanding effort coordinating over 400 riders as they tough out the night conditions to bike up to 70 km. 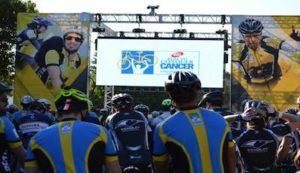 Bike riding may not be our favourite hobby but we do enjoy the events and love taking part in any way we can. 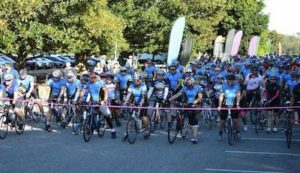 In October 2015 we contributed to the successfully run Perth City to Mandurah bike ride, with over 1030 participants braving the 31 degree heat to complete the 200km race. We understand the organisation, time and efforts that go in to such events and we are proud to say we contributed to the 4.5 million raised for cancer research through the Harry Perkins Institute of medical Research. K-Line Fencing Group continues to expand our involvements aiding several causes and helping a variety of individuals. 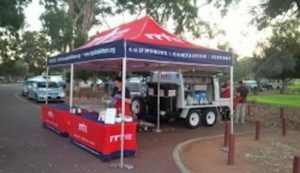 Through RRT K-Line has had the opportunity to support the Tranby Day Centre, providing day support to homeless people in the greater Perth area. Each community involvement encourages us to do more and we can only hope to encourage those around us to get involved. K – Line Fencing pride ourselves on producing and installing reliable security fencing. We are Perth based fencing contractors looking to go above and beyond protecting your property, families and businesses, we are looking to make a difference in the lives and communities around us.